I met my ex and our daughter at drop-off for camp this past Sunday .. can’t believe we’re halfway through the week already. It’s the second year in a row now, we’ve done a week of overnight camp. She’s wanted to do it for a long time but finally mustered up the courage this past year for her first week away from home. She didn’t want either of us, her parents, to leave. But then at pick-up, she .. as you can expect, also didn’t want to come home. a kid, but never got to do much of. Went to one track and field FCA camp .. basketball camp a couple times .. but that was pretty much it. Ever. I felt pretty lucky I got to go to those that I did. And very few of our friends ever went either so I thought it was the norm that camp was a pretty big deal. My (our) daughter on the other hand, has pretty much been in camp non-stop on some level each summer as she’s grown up, because quite honestly it’s been one of the easiest, most reassuring she’s in good hands and economical options for her parents (myself and the ex). She’s gotten some great experience and had a ton of fun over the years. Music, sports, water, pure social, acting, art, animals, you name it .. she’s probably been at the camp. Week after week. Just about every summer. She asked to not have to go so much. And as she’s gotten older, I agree. There are better ways for us to manage the time involved, the value of and the expense of it all. Plus, there are only a few camps anymore she really asks to go to .. some she’d like to attend and a few I think would be good for her. And I want her to be able to have those experiences. This week, it’s horse camp. And .. it’s only the hottest week so far of the year with temperatures soaring into the 90’s for days on end. I’ve been a bit worried about the girls and the staff this week .. I called to ask a counselor this morning if there might be anything any of the parents can do or bring ..
“No, we should be good,” replied the young woman who answered. They will be spending perhaps not as much time on horseback this week and more time on field trips or in a pool or spraying each other with water. Either way, she told me, they are good and camp will be keeping a close eye on them all. Can’t wait to see her Saturday. Hear all about it. And have some downtime together before ‘Camp Bayfield’ next week, not really camp. But where we’ll all be together with the Cowboy and his kids and a few friends .. and just have time to play. “Did you go to summer camp when you were a kid,” I ask the Cowboy this morning as we chatted quick over the phone. “No. Well, we went to rodeo bible camp. But our camp was going to rodeos every weekend with the family. That was camp,” he added. There truly are so many great values to camps: Opportunities to learn new things, do good things, meet new friends, earn new responsibilities, grow, change, evolve, be active in ways you wouldn’t otherwise .. I feel blessed to have such great resources in our area to send her to. I am just as fired up for her to have more downtime this year. To not have to go all the time. To not still believe every child gets to go to different, fun camps all summer long, because many don’t. It is a luxury not every family can afford or chooses to even if they can. But it’s a great option. The other option we’re excited about .. (during her time with mom anyway) will be spent with the neighbor boy and his mother, who is a teacher. She will be keeping them busy for awhile each morning doing some math and spelling to keep them progressing hopefully as they both head toward their first year of middle school. That will be part of the day. The other part will include responsibilities at home, chores around the house and taking care of the animals she so desperately loves and wants to have but truly has no idea how much work they are. Most importantly she will also have a great opportunity to spend time doing what a lot of other kids do during the summer .. and that is, enjoy some free-time. Figure out how to not be bored on their own. Be a kid. Chances are .. anyone reading is all grown up by now and knows how quickly camp .. summer .. and being a kid flies by. 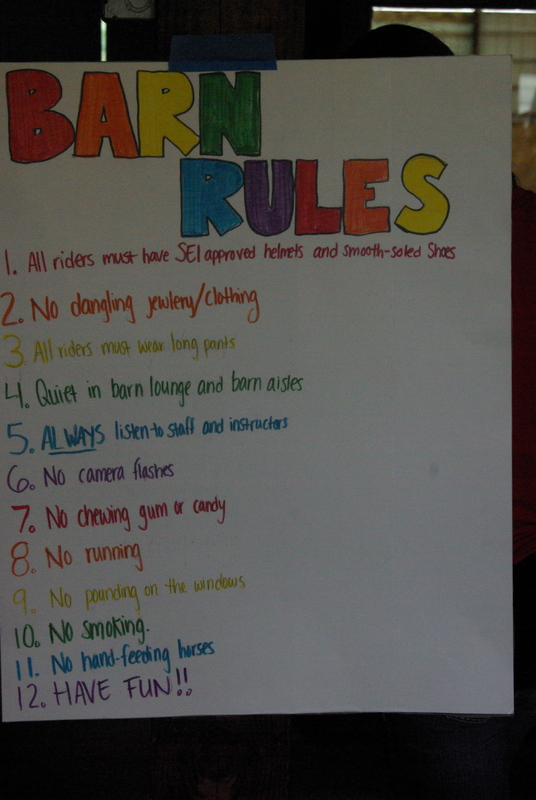 This entry was posted in At the Ranch, Children, Daughters, Family, Horseback Riding, Life, Parenting, Riding horses, Summer camps, Summer heat, Uncategorized, Wisconsin and tagged Away from home, Beating boredom, Heatwave, Horseback riding, Making new friends, Summer camp, Value of staying home, Water balloon fights by Carleen Wild. Bookmark the permalink.